Getting my Bingo started early with The Tokyo Zodiac Murders. 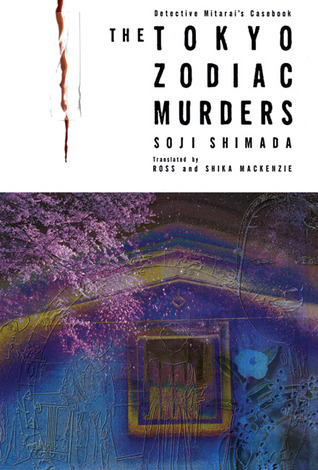 The book opens with a "Last Will and Testament" of a man named Heikichi Umezawa... and his very deranged, twisted thoughts of creating the perfect woman, Azoth, by assembling the perfect body parts, namely of his daughters and nieces together into one whole. His rambling goes on and on about his life, with the preface that, "I have been posses by a devil, an evil spirit with thoughts of its own," to punctuate the psychopathic ideals that keep surfacing in his mind meanderings. And, then we, segue into the main characters of our story, where one of them exclaims, "What the hell is all this? [...] it was like being forced to read the Yellow Pages!" This said, as he chucks the reading across the room, which I am led to believe is Umezawa's ramblings. Honestly, I'm kind of inclined to agree with the MC, about the prologue of info-dump; although at the same time, I also found that everything was so twisted, it was a little hard to make myself look away. It's too early in this book to decide whether or not I like it yet, especially since I just spent thirty pages reading a madman's justifications for serial murder, describing exactly what he wants to do and why, and his fascination with women and astrology. Anyway, as this is my interlibrary loan book, I decided that I would start into it. And I'm almost certain I may not finish reading all of it until after September starts. I think I'm going to take my time with this and see if I can't play detective alongside our main characters, Kiyoshi Mitarai and Kazumi Ishioka. 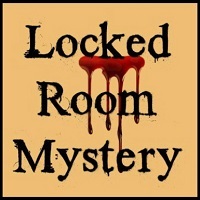 I will be reading this book for the Locked Room Mystery square. COYER Summer Reading List | August Readathon!